COLLEGE STATION, Texas — The No. 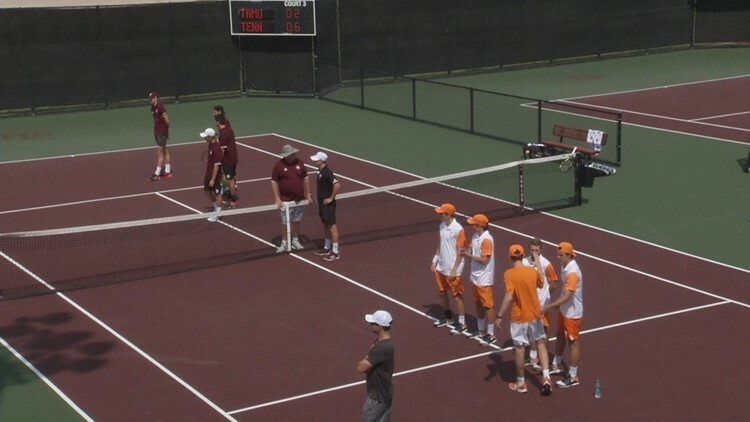 8 Texas A&M men's tennis team hosts Ole Miss Sunday at the George P. Mitchell Tennis Center at 1 p.m. (CT). The Aggies (19-6, 9-2 SEC) take on the Rebels (16-10, 5-6 SEC) for Senior Day as Texas A&M tennis will honor its lone senior, Kevin Lam, prior to the match.